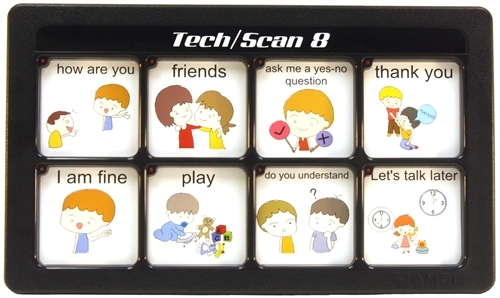 The Tech Plus 8 is a multi-level AAC device designed to aid communication through direct selection. Using "Real-Voice" technology, the Tech Plus 8 provides speech playback at a high audio quality. The Tech Plus 8 has four core vocabulary words at the top of the grid that will remain the same for all levels. The Tech Plus 8 is user-friendly, easy to use, durable and rugged. The water resistant membrane operates with a light touch. The Tech Plus 8 has different options that allow you to customize your communication device to fit your needs. > Dimensions: L 13 1/4" x D 8" x H 2"
> Messages can be stored for up to 100 years with no power. 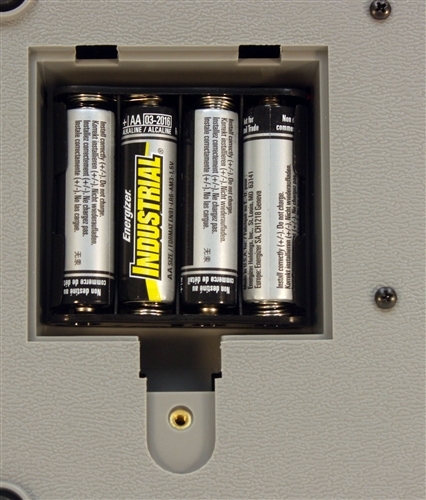 Changing the batteries is a snap!